One of the questions commonly asked during a job interview is, “What are your goals for the future?” This question is a good way for employers to determine if your career goals are a good fit for the company. Plus, it helps hiring managers make sure that you actually have some goals – in other words, your answer reveals whether or not you have ambition and some type of plan. You don't need to know exactly where you're planning to be in five years, but you need to be pointed in some direction. Employers also ask about goals because they want to be sure you won't be moving on to another job right away. It will be a red flag if your aspirations have nothing to do with the type of job, company, or industry where you're hoping to get hired. New hires are expensive to bring on board and train. If you leave in a hurry, they'll be right back at square one. The most successful candidates are the ones whose ultimate aims align with those of the organization, even if they don't plan to spend their entire career working for the same employer. Few employers expect lifetime commitment, but it’s important to convey that your career goals are compatible with the company’s path. The best way to respond to interview questions about your goals for the future is to focus on the position and the company you are interviewing with. This is why it's important to do your research before you arrive for the job interview. Knowing about the company’s culture and business practices will help you emphasize your ability to solve their problems. Don’t discuss your personal goals outside of work, such as having a family or traveling around the world, in response to this question. This information is not relevant and could knock you out of contention for the job. The hiring manager is interested in what you are looking for in your next job, not what you want to do next in your private life. Think of your goals and those of the company as a Venn diagram: you want to keep your answer confined to the overlapping section. While you should never lie during a job interview, it's best to stick to the parts of your vision that include the organization. For example, if you're a newly minted registered nurse, and the hospital you're interviewing with doesn't have a lot of openings for nurse practitioners, now is not the time to mention that you're considering going back to school in a few years. On the other hand, the hospital might clearly outline a career path for their registered nurses, in which they encourage them to go back to school while continuing to work part-time. If you know this is the case, and you are interested in becoming a nurse practitioner, emphasize your interest in this path. While you should have a pretty good idea of how you would like to see your career progress, and how you plan to express those goals during your interview, it’s also ok to feel out the interviewer’s thoughts about potential growth with the company. Of course, your main focus should be on selling your candidacy for the job at hand, but inquiring about how the company might promote an employee with your qualifications is relevant if you are seriously interested in joining the team. When it comes time to ask the interviewer questions, you will have the opportunity to learn more about typical career growth for someone in this job. You might ask, “At XYZ Hospital, what is a typical career path for someone recently credentialed as an RN?” Just be careful not to seem too eager to move beyond the job you are applying for. 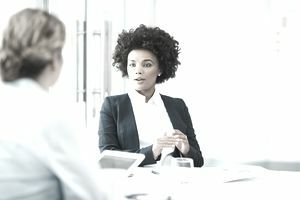 Although it's fine to express a desire to expand your role in the future, the emphasis should remain on your strong interest in the position at hand, and how you can add value in that role. My long-term goals involve growing with a company where I can continue to learn, take on additional responsibilities, and contribute as much value as possible to the team. I love that your company emphasizes professional development opportunities. I would take full advantage of the educational resources available. I see myself as a top-performing employee in a well-established organization like this one. I plan on enhancing my skills and continuing my involvement in related professional associations. Once I gain additional experience, I would like to have the opportunity to move on from a technical position to management. I know this has been a common path for many people in this position, and I think in time this would be a logical move forward for me. However, for now, I am excited about focusing on and applying my technical skills in this job.